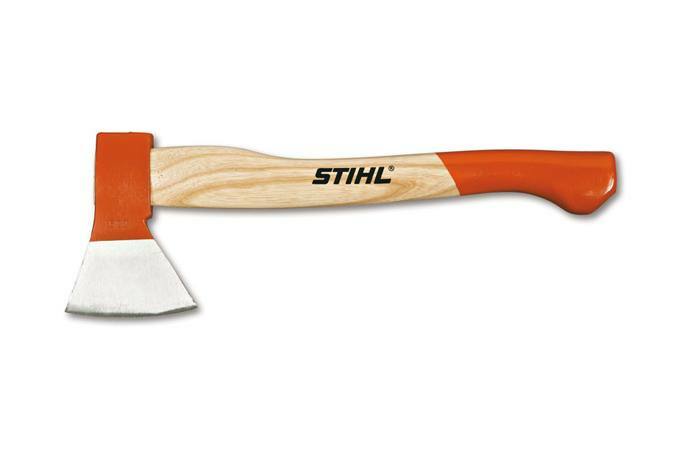 Whether you’re splitting some kindling or clearing brush around a campsite, the STIHL Woodcutter Camp & Forestry Hatchet is ready for your next outdoor adventure. It features a premium ash handle, and well-balanced cutting head. Its compact design measures 15.75” with a 1.3 lb. cutting head, making it the perfect choice for taking on the road for camping trips. It’s a handy hatchet no serious camper should be without. Weight Of Cutting Head: 1.3 lb.